Historical novel from Puffin Books about a Catholic Hungarian farm family before World War I. Life on the Hungarian plains is changing quickly for Jancsi and his cousin Kate. Father has given Jancsi permission to be in charge of his own herd, and Kate has begun to think about going to dances. Jancsi hardly even recognizes Kate when she appears at Peter and Mari's wedding wearing nearly as many petticoats as the older girls wear. And Jancsi himself, astride his prized horse, doesn't seem to Kate to be quite so boyish anymore. Then, when Hungary must send troops to fight in the Great War and Jancsi's father is called to battle, the two cousins must grow up all the sooner in order to take care of the farm and all the relatives, Russian soldiers, and German war orphans who take refuge there. Newbery Award winner. Recommended for seventh-grade students. Black and white illustrations. 1990 copyright, original copyright 1939 by Kate Seredy. 5 x 7.75 inches. Soft cover. 247 pp. 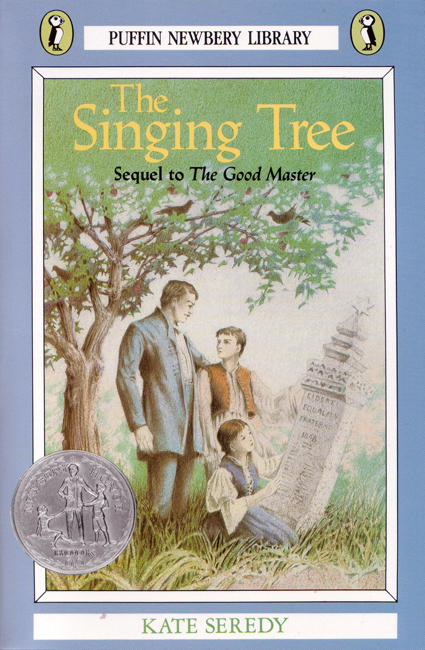 This book is the sequel to The Good Master. Be the first one to review this item.